Most westerners prefer to come to India from September to March when the weather is cool in most parts of India. But a few brave ones arrive during Monsoons also, when the whole country is experiencing the magic of Monsoons. There are a lot of things you can do during the monsoons to enjoy and have a pleasant stay in India like chasing the monsoon, enjoying the delicious hot Pakoras or bhajiyas with tea while it rains outside. But Monsoons also bring with them their own set of problems also like water logging, floods, a lot of mosquitoes and flies. All these factors combined can make anybody run away from India except for the very brave. So here I am giving 5 tips that you can follow to have a wonderful stay during monsoons in India without any worries. Most tropical disease like cholera, diarrhea, dysentery, typhoid is water borne. So please avoid drinking water from a source that you are not sure. It is better to carry your own bottled water or better still boiled water. In the absence of both carry water purifying tablets and dissolve them in water before drinking them. They may not taste good but will save you from falling sick. Another thing to remember is not to add ice to your drink unless it is from a trusted source. You should check if the ice has been made from filtered water. If not avoid it. In most of the tourist cities in India like Banaras, Jaipur etc you will find that vendors are selling cut fruits on the roadsides. While you may be tempted to taste them it is a good idea to resist the temptation as the water used to keep the fruits fresh may not be free from contamination. You can always buy uncut fruits, wash them and eat them after cutting, but anything that has been already cut and raw should be avoided. A lot of tourists who come to India want to take things in stride and arrive without tickets booked for further journeys within India. While you should generally avoid this, but it becomes more important during monsoons as a lot of train etc at times are running late due to rains and you may not get last minute bookings due to heavy rush. Also please never buy tickets from unauthorized agents or touts as there is no guarantee those tickets will be genuine. Most of the Himalayas during monsoons get heavy rainfall and landslides can happen like a few days ago in Uttaranchal and Himachal. As of now, hundreds of tourists are stuck in these areas due to heavy rains. But if you still want to go for trekking in Himalayas, you should go to Leh in Laddakh. As Leh and nearby Nubra Valley are in rain shadow area and get very little rainfall during this period, with pleasant weather during this period. But if you really want to soak in the rains and see the magic of monsoon continuously during your stay you should visit Kerala, Goa or Mumbai to see Monsoon at its full magic. All these three places are on the west coast of India and well connected to the rest of the world by air. Goa and Kerala will give you the magic of monsoon in its natural form while Mumbai will show you how a modern metropolis faces the onslaught of monsoon while the life goes on. So dear reader please follow these simple 5 tips during your travel to India and you will have a wonderful stay and take back memories of the most magnificent monsoon anywhere in the world. About the Author: Prasad Np is a corporate executive most of the week, but he wears many hats. He is blogger, photographer, traveler and a potential investor in start-ups with unique concepts especially if they are in travel related business. He blogs at Desi Traveler. But as you rightly mentioned, it’s actually the wrong one for travelling, and this time it came a little earlier than expected. That’s once reason we too might have to divert our trip to another area as we too are on vacation presently. I agree with your tips, especially of not drinking water except for mineral water and avoiding cold foods, and even the cut fruits as you mentioned. Prevention is better than cure as they say. Wonderful post Prasad. The tips you have given are really valuable. The tips about drinking and eating are things, which we often ignore at the time of traveling. But, if we keep them in mind in advance, then it may be helpful. Great tips to Enjoy travel in monsoon! I have seen lot of people don’t prefer traveling in monsoon ! They just understand monsoon isn’t a perfect time to make a travel but I personally understand ! They are wrong. Monsoon is a such a great wonderful time to enjoy traveling in fact in year we made a trip of Goa in monsoon time & we enjoy to much in Goa. Awesome tips Shalu. Nice visiting you. Catch up you next time! Very well said and perfect tips. Actually we should be proactive, not reactive always… Rightly mentioned here. As you quite rightly said, it is definitely best to watch what one drinks when travelling to India. When I travel to India I will always drink my own bottled water. I would love to visit India during the monsoons. A few years back, my family were in Kerala during the monsoons. They told me how beautiful it was! 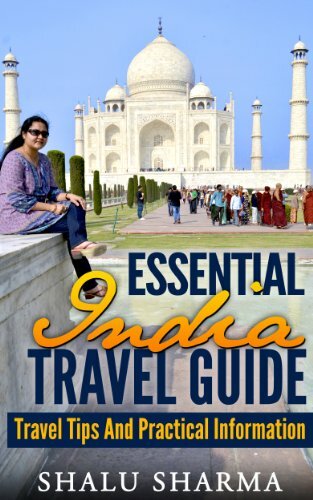 These tips are really helpful for tourists which want to travel in India. really, Kerala, Goa and Mumbai are the great fantastic destinations to the monsoon visit. great tips.. definitely a lot to take on board, especially the food and drink, always have to be careful! Goa is a beautiful place. I like trekking specially in night. I went HarishchandraGharh (Highest place in Maharashtra) for trekkking enjoyed alot. Your tips is really helpful to us safe. You know we lost people in flooding this month 🙁 . Anyway Thanks for the great Tips!!! If you want to enjoy the monsoon in India, then it is better plan a trip to Kerala as you will be able to get an awesome monsoon experience. Better to avoid North India during monsoon, as the monsoon at time turns too dangerous. You are right Prasad!! That is mainly due to the diversity that exist in India. You have well placed your thoughts in giving out the tips to enjoy the monsoons in India but looking into the current scenario that has taken place in Kedarnath, I believe the things have changed. It has been a sad tragedy that will keep many tourists back in their home during monsoon seasons. It is a bitter truth that we all have to face. I believe that the tourism department needs to take a lead role not only in promoting tourism in India but also taking all the precautionary measures for the safety and security of tourists. Thanks for sharing your thoughts and I wish that people do enjoy your tourism journeys always. If a foreigner is planning trip to India , they should definitely read and note down all the points that’re mentioned in this post and don’t forget to visit Mahabelashwar , Panchgani , Mussorie , Shimla …When you’ll visit these places in this season ..you’ll feel you’re in a heaven . Next month I plan to go India for looking there different places and cultures that time I will definitely come Mahabelashwar, Panchgani, Mussorie, Shimla. I hope this trip will be most memorable of my life. In monsoons one should avoid hilly areas as their are landslides and one can be in problem because of that. Thanks a lot George. Yes Leh is what scientist call a cold desert. The life line for water there is the river Indus and Zanskar. Exactly. Do not eat cut fruit, We don’t know when they cut the fruit may be two days ago or whatever. Liked all five tips. I am glad you like the points on Monsoon Travel Shekhar. Simple precautions can make the journey comfortable. I’d say that that photo of a man jumping off in the lake? or was that a ground? anyways, I love it. Hi Prasad! !Thanks For Such Important Tips! !And Thanks For The Suggestion Of The Places to Visit During Monsoon. I generally prefer Goa in Monsoon weather. But during the monsoon the weather seems very dull, gloomy & in our place there is lots of heavy rain but we can enjoy lots of delicious fruits like pineapple, banana etc. Most of the diseases in Monsoon spread of dirty water.Because of huge rain water germs are found at dirty and dump places and bite of mosquitoes throws you towards diseases. Always eat fresh fruits and do not eat food in which meat is used because hotel managers are not too much caring about meat. Sometimes they store meat for long period of time and it also throw you in the ground of diseases. I guess I would just avoid visiting India during moonsoons. I’d rather go there during good weather to avoid any problems and to fully enjoy the place. First 2 tips are the most essentials one to staying away from the monsoons diseases during the travelling. I love your tips. Next year in january I will take some tour at India. And I think to visit this place. Thanks for your top tips, sista..
Hi,Shalu, awesome post. I appreciate the work of all people who share information with others. Great Blog! Very insightful tips Shalu. I hope to get to trek the Himalayas when I get the chance. PS. Been following your blog the past few months. Really love it. 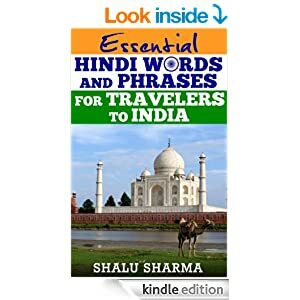 Very nice useful tips for travellers..I hope every person, who wants to travel more times they need to get with along some travelling items like travel bags, water bottles etc. Indeed the monsoon season in India has its own magical powers which can make any individual fall in love with it. One needs to take certain precautions while soaking in the monsoon spirit in the country. These are the right set of tips. Thanks for sharing the post. You say yes for every thing but always say no to non filtered water because water is the main source for every one and it is polute every one suffers with that.All tips are good and some of them are known as precautions. All these tips are really wonderful. But just need to ask you guys how can we beat the humidity in the monsoon season, as when sun shines after a good rainfall, climate becomes humid which sometimes becomes very tough to handle. Are there some places away from mountain, so that we can enjoy the monsoon feeling the monsoon humidity. Another value added post by you Shalu 🙂 Monsoons are magical in this part of the world and yes Kerala, Goa and Mumbai are all packed with tourists at this time of the year. Yes the cut fruits should be avoided but there is just so much more to eat and enjoy there.Thanks again for the lovely share. Those are great tips. I always wanted to visit india, regardless of the season. I will definitely do it one day and then I will try to keep those advices in mind. Thanks for sharing this! Good one and u rightly mentioned the best places for monsson Goa, kerala because keeping in mind the recent news abt flooding in utrakhand, people are now more scared than ever to visit the hills during monsoons which they used to enjoy just some time back. Thanks for the tips to travel and enjoy in monsoon season. Great ideas and tips love reading it, thanks for share. Wow, if it weren`t for you I would have never known that one has to be so careful with water contamination in India. This is very, very good to know for the future. India is on my travelling list for the future, I hope I will manage to reach it one day. 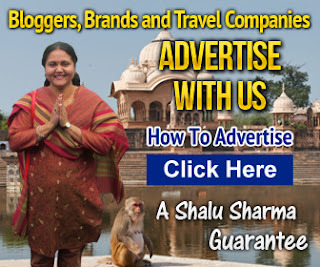 Thank you so much for the tips, Shalu. Great tips…next time whenever we planned to travel we will go to Kerala. Thanks for other tips..
You had shared a good article with us. It has helped me a lot to gain knowledge about something new. If you want go for a trip , than just go out and enjoy the wonderul places in india. Want to enjoy the Monsoon of India , you can get the some very wonderful places in India for travelling like Kerala , Goa. India is a land of culture , the oldest civilization in the world . Visit the city of joy and see by yourself why it is called that. I love my India . I’ve traveled to a lot of different places and I have to say that finding clean water can be the most difficult part of the journey! It’s always a good idea to keep iodine tablets with you. You don’t want to get dehydrated but drinking contaminated water can be fatal. Do you have any suggestion about cheap motel in India? I love to visit India. Amazing publish Prasad. The guidelines you have given are really useful. The guidelines about consuming and consuming are factors, which we often neglect at plenty of duration of journeying. But, if we keep them in thoughts in enhance, then it may be beneficial. Thanks for sharing. Indians, as a rule, enjoy monsoons after being scorched by the hot sun for months on end unlike the residents of Northern Hemisphere who suffer invariably from rainy day blues. They go out into the rain drenched streets, beaches and forests and let themselves go. It is very nice post for travel places in monsoon. This post is very using for travelling by monsoon travel places tips. In Monsoon travelling for going hill station in trekking, enjoying visit new places, shopping and enjoying the magical monsoon in watching movies, eating cut fruits. Awesome post Prasad, thanks for putting this all together. Next year I want to go check out Himalaya, I hope that I will have the money for it. All the best for you! Nice post, lots of comment, really awesome. Thanks for sharing this nice one. Nice post! It’s very useful that you have managed to include all the amount of tips in this article. I love my country, and everything that adds to its uniqueness and flavour. These five top tips are very helpful. During monsoons I’ve not traveled in India so far, but around countries of India I traveled. I really don’t know what to avoid during traveling within a such season, or what food need to avoid. So glad to learn these tips, my traveling experience will be enormous by following such traveling tips! Thanks for writing about what happens during magical monsoon in India. Thanks for sharing such a valuable information. I can find alot of information from this site. Keep Posting. Gr8 post. This post is very using for travelling by monsoon travel places tips. Thanks for sharing. Nice post! It’s worth to read more than ever if you’re new to land in a place. I haven’t gone to India, but it is already in my mind as one of my next destinations to visit. Reading this article helps me learn one to avoid when I get there at some point in time. Well these tips you have mention in your post is really good and tips one can easily follow and I think these tips will surely help me and other guys like me who love to travell and bite me travlling in monsoon is not a easy task. It was so useful. Say no to cut fruits is useful one. Because when we cut the fruits and eat later. It causes bacteria at once we cut the fruits. 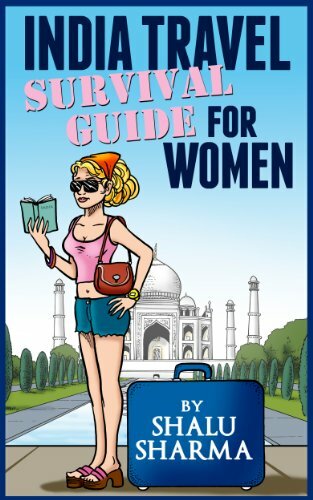 thanx for these tips for traveling enjoyment during monsoons in India. Thanks for sharing this article, i loved it. Very useful guide for traveler. I live in vietnam and for a long time I really like Idia Travel because your country is a secret country. I like the countryside of India. Great precaution tips Shalu. Your post on booking ticket in Advance is very much true. I had a friend who got swindled by some touts who sold her fake ticket. India is one of the beautiful places to visit. but one need to be very careful especially if you are a lady. sanookholiday companies operating in the tourism countries such as Japan, China, Myanmar, Vietnam, Bali. Thanks for the tips Shalu Sharma appreciate it. Very interested in visiting Goa!